I’ve spent the last 10 months, yes I know I didn’t write anything about it, trying to get a Hadron Ordbot printer to work reliably. Hopefully I’ll get around to writing a little more about the experience. But just before Christmas I spotted a flash deal for a £125 prusa i3 type printer called a Anet A8. So thought I’d see if the experience is any better second time around. Well box is here from China. 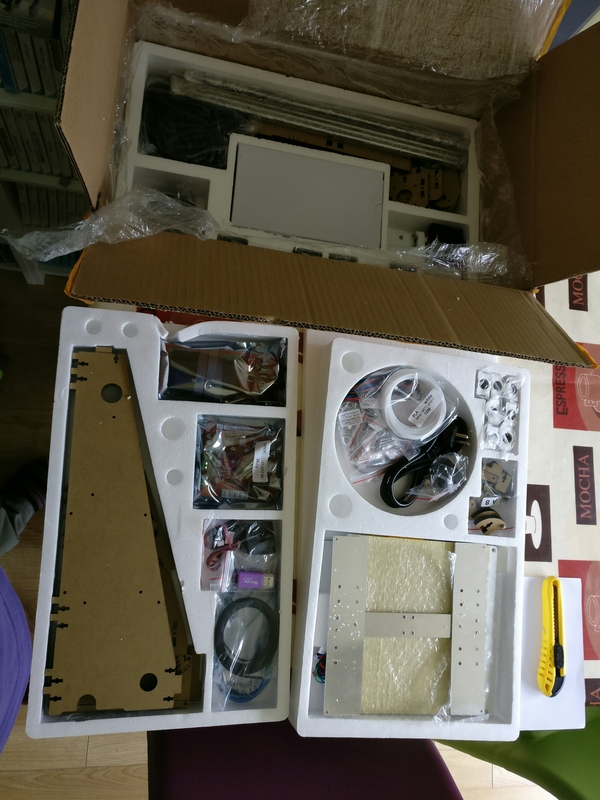 Day3: aNet A8 3D printer assembly Part3.